ARGUED: Robert Arthur Vanderhye, McLean, Virginia, for Appellants/Cross-Appellees. James F. Rittinger, SatterLee, Stephens, Burke & Burke, New York, New York, for Appellee/Cross-Appellant. On Brief: Joshua M. Rubins, Justin E. Klein, Satterlee, Stephens, Burke & Burke, New York, New York, for Appellee/Cross-Appellant. Before WILKINSON, MOTZ, and TRAXLER, Circuit Judges. Affirmed in part, reversed in part, and remanded by published opinion. Judge TRAXLER wrote the opinion, in which Judge WILKINSON and Judge MOTZ joined. LLC, based on its use of essays and other papers written by plaintiffs for submission to their high school teachers through an online plagiarism detection service operated by iParadigms. See 17 U.S.C. § 501. iParadigms asserted counterclaims alleging that one of the plaintiffs gained unauthorized access to iParadigms’ online service in violation of the Computer Fraud and Abuse Act, _see_18 U.S.C. §§ 1030(a)(5)(A)(iii) & (B)(i), and the Virginia Computer Crimes Act, see Va.Code Ann. § 18.2-152.1-18.2-152.16. The district court granted summary judgment in favor of iParadigms on plaintiffs’ copyright infringement claim based on the doctrine of fair use. See 17 U.S.C. § 107. On the counterclaims, the district court granted summary judgment against iParadigms based on its conclusion that iParadigms failed to produce evidence that it suffered any actual or economic damages. The parties cross appeal. We affirm the grant of summary judgment on the plaintiffs’ copyright infringement claim, but reverse the summary judgment order as to iParadigms’ counterclaims and remand for further consideration. _www.turnitin.com_or via an integration between Turnitin and a school’s course management system.” S.J.A. 1-2. In order to submit papers online, students “must be enrolled in an active class” and must “enter the class ID number and class enrollment password” supplied by the assigning professor. J.A. 240. After a student submits a writing assignment, Turnitin performs a digital comparison of the student’s work with content available on the Internet, including “student papers previously submitted to Turnitin, and commercial databases of journal articles and periodicals.” S.J.A. 2.1 For each work submitted, Turnitin creates an “Originality Report” suggesting a percentage of the work, if any, that appears not to be original. The assigning professor may, based on the results of the Originality Report, further explore any potential issues. The Turnitin system gives participating schools the option of “archiving” the student works. When this option is selected, Turnitin digitally stores the written works submitted by students “so that the work becomes part of the database used by Turnitin to evaluate the originality of other student’s works in the future.” S.J.A. 2.2 The archived student works are stored as digital code, and employees of iParadigms do not read or review the archived works. To submit a paper to Turnitin, a student must create a user profile on the web site, a process that requires the student to click on “I Agree” under the “terms of agreement” or “Clickwrap Agreement.” The Clickwrap Agreement provided, among other things, that the services offered by Turnitin are “conditioned on [the user’s] acceptance without modification of the terms, conditions, and notices contained herein,” and that “[i]n no event shall iParadigms … be liable for any … damages arising out of or in any way connected with the use of this web site.” J.A. 340. When they initiated the lawsuit, the four plaintiffs were minor high school students and thus appeared in this litigation via their next friends. Plaintiffs A.V. and K.W. attended McLean High School in Fairfax County, Virginia, which began using Turnitin in 2006 and opted to have its student papers archived in the Turnitin data base. Plaintiffs E.N. and M.N. attended Desert Vista High School in Tucson, Arizona, which also subscribed to the Turnitin service and elected the archiving option. According to the complaint, both schools required students to submit their written assignments via Turnitin.com to receive credit; failure to do so would result in a grade of “zero” for the assignment under the policy of both schools. Plaintiffs K.W., E.N. and M.N. allege that their teachers adhered to school policy and required them to submit their written assignments to Turnitin. Using the passwords provided by the schools, K.W., E.N. and M.N. submitted their papers, each of which included a “disclaimer” objecting to the archiving of their works.3 As requested by the two high schools, however, each of these submissions was archived. A.V., the fourth plaintiff, did not submit his paper for credit in a high school course; instead, he submitted his work to Turnitin using a password designated for students enrolled in a college course at the University of California, San Diego (“UCSD”). The password was provided to A.V. by plaintiffs’ counsel who obtained it by conducting an internet search. According to iParadigms, “no one at iParadigms read[ ] or review[ed] the [p]apers submitted” by plaintiffs, and iParadigms did not send any “[p]aper at issue in this action … to anybody other than the instructor to whom plaintiffs[ ] submitted their own papers.” S.J.A. 2. Second, the court determined that iParadigms’ use of each of the plaintiffs’ written submissions qualified as a “fair use” under 17 U.S.C. § 107 and, therefore, did not constitute infringement. In particular, the court found that the use was transformative because its purpose was to prevent plagiarism by comparative use, and that iParadigms’ use of the student works did not impair the market value for high school term papers and other such student works. iParadigms asserted four counterclaims, but only two are now at issue: (1) that plaintiff A.V. gained unauthorized access to Turnitin by using passwords designated for use by college students enrolled at UCSD, in violation of the Computer Fraud and Abuse Act (“CFAA”), see 18 U.S.C. § 1030; and (2) that plaintiff A.V., based on the aforementioned unauthorized access, violated the Virginia Computer Crimes Act (“VCCA”), see Va.Code Ann. § 18.2-152.3. The district court rejected both counterclaims, granting summary judgment to plaintiff A.V. on the grounds that there was no evidence of actual or economic damages suffered by iParadigms as a result of the alleged violations under the CFAA and the VCCA. Harper & Row, Publishers, Inc. v. Nation Enters., 471 U.S. 539, 546, 105 S.Ct. 2218, 85 L.Ed.2d 588 (1985), including the right to copy, the right to publish and the right to distribute an author’s work, see id. at 547, 105 S.Ct. 2218; see also 17 U.S.C. § 106 (also including among fundamental rights in copyrighted works rights to display, to perform, and to prepare derivative works). These rights “vest in the author of an original work from the time of its creation.” Harper & Row, 471 U.S. at 547, 105 S.Ct. 2218. “`Anyone who violates any of the exclusive rights of the copyright owner,’ that is, anyone who trespasses into his exclusive domain by using or authorizing the use of the copyrighted work … `is an infringer of the copyright.’” Sony Corp. of America v. Universal City Studios, Inc., 464 U.S. 417, 433, 104 S.Ct. 774, 78 L.Ed.2d 574 (1984) (quoting 17 U.S.C. § 501(a)). protection for an original work … extend to any idea, procedure, process, system, method of operation, concept, principle, or discovery, regardless of the form in which it is described …”); Feist Publ’ns, Inc. v. Rural Tel. Serv. Co., 499 U.S. 340, 344-45, 111 S.Ct. 1282, 113 L.Ed.2d 358 (1991) (“The most fundamental axiom of copyright law is that no author may copyright his ideas or the facts he narrates.” (internal quotation marks and alteration omitted)). Moreover, the copyright owner’s rights are subject to several exceptions enumerated by the Copyright Act. “[T]he definition of exclusive rights in § 106 of the [Copyright] Act is prefaced by the words `subject to sections 107 through .’ Those sections describe a variety of uses of copyrighted material that `are not infringements of copyright’ `notwithstanding the provisions of § 106.’” Sony, 464 U.S. at 447, 104 S.Ct. 774 (quoting 17 U.S.C. § 106). One of these statutory exceptions codifies the common-law “fair use” doctrine, which “allows the public to use not only facts and ideas contained in a copyrighted work, but also expression itself in certain circumstances.” Eldred v. Ashcroft, 537 U.S. 186, 219, 123 S.Ct. 769, 154 L.Ed.2d 683 (2003); see Campbell v. Acuff-Rose Music, Inc., 510 U.S. 569, 577, 114 S.Ct. 1164, 127 L.Ed.2d 500 (1994) (“Congress meant § 107 to restate the present judicial doctrine of fair use … and intended that courts continue the common-law tradition of fair use adjudication.” (internal quotation marks omitted)). “From the infancy of copyright protection, some opportunity for fair use of copyrighted materials has been thought necessary to fulfill copyright’s very purpose, `[t]o promote the Progress of Science and useful Arts… .’” Campbell, 510 U.S. at 575, 114 S.Ct. 1164 (quoting U.S. Const., Art. I, § 8, cl. 8). Courts have traditionally regarded “fair use” of a copyrighted work as “a privilege in others than the owner of the copyright to use the copyrighted material in a reasonable manner without his consent.” Harper & Row, 471 U.S. at 549, 105 S.Ct. 2218 (internal quotation marks omitted). Thus, the copyright owner’s “monopoly … is limited and subject to a list of statutory exceptions, including the exception for fair use provided in 17 U.S.C. § 107.” Bond, 317 F.3d at 393 (internal quotation marks and citation omitted). A person who makes fair use of a copyrighted work is not an infringer even if such use is otherwise inconsistent with the exclusive rights of the copyright owner. See 17 U.S.C. § 107 (providing that “the fair use of a copyrighted work … is not an infringement of copyright”); cf. Bond, 317 F.3d at 394 (“A fair-use analysis bears relevance only when a challenged use violates a right protected by the Copyright Act.”). 17 U.S.C. § 107. Section 107 contemplates that the question of whether a given use of copyrighted material is “fair” requires a case-by-case analysis in which the statutory factors are not “treated in isolation” but are “weighed together, in light of the purposes of copyright.” Campbell, 510 U.S. at 578, 114 S.Ct. 1164. With these general principles in mind, we consider each of the statutory factors. The first fair use factor requires us to consider “the purpose and character of the use, including whether such use is of a commercial nature or is for nonprofit educational purposes.” 17 U.S.C. § 107(1). A use of the copyrighted material that has a commercial purpose “tends to weigh against a finding of fair use.” Harper & Row, 471 U.S. at 562, 105 S.Ct. 2218. “The crux of the profit/nonprofit distinction is not whether the sole motive of the use is monetary gain but whether the user stands to profit from exploitation of the copyrighted material without paying the customary price.” Id. In assessing the “character” of the use, we should consider the specific examples set forth in section 107’s preamble, “looking to whether the use is for criticism, or comment, or news reporting, and the like,” with the goal of determining whether the use at issue “merely supersedes the objects of the original creation, or instead adds something new, with a further purpose or different character.” Campbell, 510 U.S. at 578-79, 114 S.Ct. 1164 (internal quotation marks, alteration and citation omitted). Courts, therefore, must examine “whether and to what extent the new work is transformative… . [T]he more transformative the new work, the less will be the significance of other factors, like commercialism, that may weigh against a finding of fair use.” Id. at 579, 114 S.Ct. 1164 (internal quotation marks omitted). A “transformative” use is one that “employ[s] the quoted matter in a different manner or for a different purpose from the original,” thus transforming it. Pierre N. Leval, Commentary, Toward a Fair Use Standard, 103 Harv. L.Rev. 1105, 1111 (1990). In considering the character and purpose of iParadigms’ use of the student works, the district court focused on the question of whether the use was transformative in nature. The court concluded that “iParadigms, through Turnitin, uses the papers for an entirely different purpose, namely, to prevent plagiarism and protect the students’ written works from plagiarism … by archiving the students’ works as digital code.” J.A. 54. Although the district court recognized that iParadigms intends to profit from its use of the student works, the court found that iParadigms’ use of plaintiffs’ works was “highly transformative,” J.A. 54, and “provides a substantial public benefit through the network of educational institutions using Turnitin.” J.A. 55. Accordingly, the court concluded that the first factor weighed in favor of a finding of fair use. Plaintiffs argue the district court’s analysis contained several flaws. First, they suggest that the district court ignored the commercial nature of iParadigms’ use of their materials, highlighting the fact that iParadigms is a for-profit company that enjoys millions of revenue dollars based on its ever-increasing database of student works. Seizing upon the Supreme Court’s suggestion in _Sony_that “every commercial use of copyrighted material is presumptively an unfair exploitation of the monopoly privilege that belong to the owner of the copyright,” 464 U.S. at 451, 104 S.Ct. 774, plaintiffs contend that the archiving of their papers cannot constitute a fair use under section 107. The district court, however, did not ignore the fact that iParadigms’ use of the plaintiffs’ works occurred in the commercial context; indeed, the court expressly noted that “iParadigms makes a profit in providing this service to educational institutions.” J.A. 55. But the fact that the disputed use of copyrighted material is commercial is not determinative in and of itself. See Sony, 464 U.S. at 448, 104 S.Ct. 774. As the Second Circuit observed, “[s]ince many, if not most, secondary users seek at least some measure of commercial gain from their use, unduly emphasizing the commercial motivation of a copier will lead to an overly restrictive view of fair use.” American Geophysical Union v. Texaco, Inc., 60 F.3d 913, 921 (2d Cir.1994); see Campbell, 510 U.S. at 584, 114 S.Ct. 1164(observing that “[i]f … commerciality carried presumptive force against a finding of fairness, the presumption would swallow nearly all of the illustrative uses listed in the preamble paragraph of § 107,” which “are generally conducted for profit in this country” (internal quotation marks omitted)). The Court has made clear that Sony did not establish a per se rule that a commercial use barred a fair use finding. See Campbell, 510 U.S. at 585, 114 S.Ct. 1164 (“The Court of Appeals’ elevation of one sentence from Sony to a per se rule … runs as much counter to Sony itself as to the long common-law tradition of fair use adjudication.”). Thus, although a commercial use finding generally weighs against a finding of fair use, it must “be weighed along with [the] other factors in fair use decisions.” Sony, 464 U.S. at 449 n. 32, 104 S.Ct. 774. In this case, the district court determined that the commercial aspect was not significant in light of the transformative nature of iParadigms’ use. See Campbell, 510 U.S. at 578-79, 114 S.Ct. 1164. The district court simply weighed the commercial nature of iParadigms’ use along with other fair use factors, as is appropriate under Supreme Court precedent. See id. at 579, 114 S.Ct. 1164(explaining that “the more transformative the new work, the less will be the significance of other factors, like commercialism, that may weigh against a finding of fair use”). Plaintiffs also argue that iParadigms’ use of their works cannot be transformative because the archiving process does not add anything to the work — Turnitin merely stores the work unaltered and in its entirety. This argument is clearly misguided. The use of a copyrighted work need not alter or augment the work to be transformative in nature. Rather, it can be transformative in function or purpose without altering or actually adding to the original work. See, e.g., Perfect 10, Inc. v. Amazon.com, Inc., 508 F.3d 1146, 1165 (9th Cir.2007) (concluding that Google’s use of copyrighted images in thumbnail search index was “highly transformative” even though the images themselves were not altered, in that the use served a different function than the images served). iParadigms’ use of plaintiffs’ works had an entirely different function and purpose than the original works; the fact that there was no substantive alteration to the works does not preclude the use from being transformative in nature. and that the system sometimes does not catch even verbatim copying. In other words, because the Turnitin system is not fool-proof, the archiving of plaintiffs’ works to compare and detect plagiarism cannot be transformative. We reject this assertion as well. The question of whether a use is transformative does not rise or fall on whether the use perfectly achieves its intended purpose. Cf. Campbell, 510 U.S. at 582, 114 S.Ct. 1164 (declining to evaluate the quality of the parody and declaring that “when fair use is raised in defense of parody, [the threshold question] is whether a parodic character may reasonably be perceived”). Plaintiffs do not dispute that the Turnitin system does detect some level of plagiarism, even if, as they assert in the complaint, “[t]he Turnitin system is capable of detecting only the most ignorant or lazy attempts at plagiarism by students without significant monetary resources.” J.A. 21. Whether a better plagiarism detection system could be designed is not important to our analysis of whether the disputed use serves a different purpose or function. The district court, in our view, correctly determined that the archiving of plaintiffs’ papers was transformative and favored a finding of “fair use.” iParadigms’ use of these works was completely unrelated to expressive content and was instead aimed at detecting and discouraging plagiarism. In considering the nature of the copyrighted work, the Supreme Court has instructed that “fair use is more likely to be found in factual works than in fictional works,” whereas “a use is less likely to be deemed fair when the copyrighted work is a creative product.” Stewart v. Abend, 495 U.S. 207, 237, 110 S.Ct. 1750, 109 L.Ed.2d 184 (1990) (internal quotation marks and alteration omitted). This postulate recognizes the notion that a work is entitled to greater copyright protection as it comes closer to “the core of creative expression.” Bond, 317 F.3d at 395. However, if the disputed use of the copyrighted work “is not related to its mode of expression but rather to its historical facts,” then the creative nature of the work is mitigated. Id. at 396. And, in fact, the district court concluded that iParadigms’ use of the plaintiffs’ works “relate[d] solely to the comparative value of the works” and did not “diminish[ ] the incentive for creativity on the part of students.” J.A. 55. The district court noted that, if anything, iParadigms’ use of the students’ works fostered the development of original and creative works “by detecting any efforts at plagiarism by other students.” J.A. 55. Plaintiffs contend that the district court’s application of this factor was flawed in two respects. First, they argue that the court failed to account for the fact that their works were unpublished. Because an author enjoys the “right to control the first public appearance of his undisseminated expression,” the fair use of an unpublished work is narrower in scope. Harper & Row, 471 U.S. at 555, 105 S.Ct. 2218; see id. at 564, 105 S.Ct. 2218 (“[T]he author’s right to control the first public appearance of his expression weighs against such use of the work before its release.”). In its order, the district court omits mention of this fact; therefore, plaintiffs suggest that the district court’s entire analysis of the second statutory factor is invalid. That Bond’s manuscript is unpublished and contains a stylized mode of expressing his feelings about historical facts weigh against a finding of fair use. But, as Campbell instructs, we do not consider the § 107 factors in isolation from one another, but we weigh them together in light of the purposes of copyright. Where, as here, the use of the work is not related to its mode of expression but rather to its historical facts and there is no evidence that the use of Bond’s manuscript in the state legal proceedings would adversely affect the potential market for the manuscript, one cannot say the incentive for creativity has been diminished in any sense. Id. at 395-96 (emphasis added) (internal quotation marks and citations omitted). Here, the district court, quoting Bond, concluded that iParadigms’ use was unconnected to any creative element in plaintiffs’ works. Given that the district court drew its language verbatim from a passage in Bond discussing the fair use of unpublished works of fiction, the district court clearly did not ignore the unpublished nature of these works. Moreover, it is clear that iParadigms’ use of plaintiffs’ works did not have the “intended purpose” or “incidental effect” of supplanting plaintiffs’ rights to first publication. Harper & Row, 471 U.S. at 562, 105 S.Ct. 2218. This is significant in that the primary basis for the close scrutiny courts give the use of an unpublished work is, as previously noted, an “author’s right to control the first public appearance of his expression.” Id. at 564, 105 S.Ct. 2218. iParadigms did not publicly disseminate or display plain-tiffs’ works and did not send them to any third party “other than the instructor to whom plaintiffs submitted their own papers.” S.A. 2. In fact, the Turnitin digital archiving process does not involve any review of the submitted works at all, even by those at iParadigms. Thus, no employee of iParadigms read or reviewed the works submitted by plaintiffs. We find no basis whatsoever for concluding that iParadigms’ use of the plaintiffs’ papers undermined their right to first publication. used in other student works—is likewise unrelated to any creative component. Thus, we find no fault in the district court’s application of the second fair use factor. The third fair use factor requires us to consider “the amount and substantiality of the portion used in relation to the copyrighted work as a whole.” 17 U.S.C. § 107(3). Generally speaking, “as the amount of the copyrighted material that is used increases, the likelihood that the use will constitute a `fair use’ decreases.” Bond, 317 F.3d at 396. But this statutory factor also requires courts to consider, in addition to quantity, the “quality and importance” of the copyrighted materials used, Campbell, 510 U.S. at 587, 114 S.Ct. 1164, that is, whether the portion of the copyrighted material was “the heart of the copyrighted work.” Sundeman v. The Seajay Soc’y, Inc., 142 F.3d 194, 205 (4th Cir.1998) (internal quotation marks omitted). Although “[c]opying an entire work weighs against finding a fair use, … it does not preclude a finding of fair use”; therefore, “[t]he extent of permissible copying varies with the purpose and character of the use.” Id. at 205-06 (internal quotation marks omitted) (emphasis added). The district court found that this factor, like the second factor, did not favor either party. The court concluded that although iParadigms uses substantially the whole of plaintiffs’ works, iParadigms’ “use of the original works is limited in purpose and scope” as a digitized record for electronic “comparison purposes only.” J.A. 56. Having already concluded that such use of plaintiffs’ works was transformative, the district court concluded that iParadigms’ use of the entirety of plaintiffs’ works did not preclude a finding of fair use. The plaintiffs contend that the district court erred by referring to the transformative nature of iParadigms’ use in its analysis of the amount and substantiality of the portion of the copyrighted work used under § 107(3). In our view, the district court did not analytically merge the first and third fair use factors by referring to iParadigms’ transformative use of the students’ works. Plaintiffs’ argument, in fact, fails to recognize the overlap that exists between the fair use factors. The first and third factors, for example, take into account to some degree the purpose of the disputed use. Compare 17 U.S.C. § 107(1); and Sundeman, 142 F.3d at 202 (explaining that “[t]he `further purpose’ and `different character’ of [the defendant’s use] make it transformative” under § 107(1)), with Bond, 317 F.3d at 396 (concluding that § 107(3) did not favor plaintiffs because the defendant’s “sole purpose and intent” was not to use the expressive content in the plaintiffs’ works but “to obtain admissions of fact” in a court proceeding). We find no error in the district court’s analysis. to create.” Sony, 464 U.S. at 450, 104 S.Ct. 774. Our task is to determine whether the defendants’ use of plaintiffs’ works “would materially impair the marketability of the work[s] and whether it would act as a market substitute” for them. Bond, 317 F.3d at 396. We focus here not upon “whether the secondary use suppresses or even destroys the market for the original work or its potential derivatives, but [upon] whether the secondary use usurps the market of the original work.” NXIVM Corp. v. The Ross Institute, 364 F.3d 471, 482 (2nd Cir.2004) (emphasis added). An adverse market effect, in and of itself, does not preclude application of the fair use defense. “The fair use doctrine protects against a republication which offers the copyrighted work in a secondary packaging, where potential customers, having read the secondary work, will no longer be inclined to purchase again something they have already read.” Sundeman, 142 F.3d at 207 (internal quotation marks omitted). The analysis of whether the disputed use offers a market substitute for the original work overlaps to some extent with the question of whether the use was transformative. See Campbell, 510 U.S. at 591, 114 S.Ct. 1164 (distinguishing a secondary use that simply duplicates an original work in its entirety, thereby superseding it, from a secondary use that is transformative). To the extent this issue arises in fair use cases, it often does so when the secondary use at issue involves a scholarly critique or parody of the original work. See Campbell, 510 U.S. at 592, 114 S.Ct. 1164 (“[T]he role of the courts is to distinguish between biting criticism that merely suppresses demand and copyright infringement, which usurps it.” (internal quotation marks and alterations omitted)); see also Sundeman, 142 F.3d at 207 (holding that defendant’s critique of a novel “did not have the purpose or effect of supplanting the copyrighted work” and that its use of the novel was transformative and thus did not create a market substitute for the original work); Davis v. The Gap, Inc., 246 F.3d 152, 175 (2d Cir.2001) (explaining that “[i]f the harm resulted from a transformative secondary use that lowered the public’s estimation of the original (such as a devastating review of a book that quotes liberally from the original to show how silly and poorly written it is), this transformative use will be found to be a fair use, not withstanding the harm”). But regardless of whether the defendant used the original work to critique or parody it, the transformative nature of the use is relevant to the market effect factor. See Suntrust Bank v. Houghton Mifflin Co., 268 F.3d 1257, 1274 n. 28 (11th Cir.2001) (“Whereas a work that merely supplants or supersedes another is likely to cause a substantially adverse impact on the potential market of the original, a transformative work is less likely to do so.” (internal quotation marks omitted)); Davis, 246 F.3d at 176 (noting that “the market effect must be evaluated in light of whether the secondary use is transformative”). and that he or she would not sell their original works for submission by other students. Anyone who is reasonably familiar with Turnitin’s operation will be able to recognize that the identical match is not the result of plagiarism, but simply the result of Plaintiff’s earlier submission. Individuals familiar with Turnitin, such as those in the field of education, would be expecting the works submitted to have been previously submitted. On appeal, plaintiffs’ primary contention is that the district court focused on whether there was evidence of actual damages, failing to consider the effect of iParadigms’ use on the “potential market” for plaintiffs’ works.6 Clearly, this assertion is incorrect. The district court considered the potential market effects suggested by plaintiffs but concluded that plaintiffs’ arguments were theoretical and speculative. Plaintiffs’ most plausible theory was that iParadigms’ archiving of their papers impaired the sale of the papers to high school students in the market for unpublished term papers, essays and the like. Undoubtedly, there is a market for students who wish to purchase such works and submit them as their own for academic credit.7 And, iParadigms’ archiving of such papers on the Turnitin website might well impair the marketability of such works to student buyers intending to submit works they did not author without being identified as plagiarists. As noted by the district court, however, the plaintiffs testified that they would not sell the works at issue here to any dealer in such a market because such a transaction would make them party to cheating and would encourage plagiarism. Furthermore, to the extent that iParadigms’ use would adversely affect plaintiffs’ works in this particular market, we must consider the transformative nature of the use. Clearly no market substitute was created by iParadigms, whose archived student works do not supplant the plaintiffs’ works in the “paper mill” market so much as merely suppress demand for them, by keeping record of the fact that such works had been previously submitted. Cf. Davis, 246 F.3d at 175 (noting that fair use occurs where “the harm resulted from a transformative secondary use that lowered the public’s estimation of the original” rather than from a market substitute). In our view, then, any harm here is not of the kind protected against by copyright law. for publishing or to a college admissions board, and the magazine or college used Turnitin, then their submitted works might potentially be discredited as a product of plagiarism. Like the district court, we conclude that these theories are implausible in light of how the Turnitin system generally operates. We find nothing in the record to suggest that any of these scenarios envisioned by plaintiffs are anything more than unfounded speculation. iParadigms offered evidence that when it learned that A.V. was able to register and submit papers as a student of a university in which he was not enrolled and had never attended, it feared the possibility of a technical glitch in the Turnitin system and concluded an investigation was necessary. Unaware that A.V. had simply obtained a password posted on the Internet, iParadigms assigned several employees to determine what happened. According to iParadigms, over the course of about one week, numerous man-hours were spent responding to A.V.’s use of the UCSD password. law because § 1030(g) limited damages for a violation of § 1030(a)(5)(B)(i) to “economic damages.” The court found that iParadigms “failed to produce any evidence of actual or economic damages,” J.A. 64, and “only presented evidence of consequential damages resulting from the steps taken by iParadigms in response to A.V.’s submissions.” J.A. 63. Implicit in the district court’s conclusion was the assumption that “economic damages” in § 1030(g) does not encompass any “consequential damages” whatsoever. iParadigms counters that “economic damages” ought to be accorded its ordinary meaning, which would include consequential damages but exclude recovery for pain and suffering or emotional distress. See Creative Computing v. Getloaded.com LLC, 386 F.3d 930, 935 (9th Cir.2004) (concluding that the “economic damages” limitation “precludes damages for death, personal injury, mental distress, and the like” but includes “loss of business and business goodwill”). We agree that the district court construed the “economic damages” provision too narrowly. To maintain a civil action under the CFAA, a person first must have “suffer[ed] damage or loss by reason of a violation of this section.” 18 U.S.C. § 1030(g). The CFAA defines “loss” as “any reasonable cost to any victim, including the cost of responding to an offense, conducting a damage assessment, and restoring … the system … to its condition prior to the offense, and any revenue lost, cost incurred, or other consequential damages incurred because of interruption of service.” 18 U.S.C. § 1030(e)(11) (emphasis added). This broadly worded provision plainly contemplates consequential damages of the type sought by iParadigms — costs incurred as part of the response to a CFAA violation, including the investigation of an offense. _See, e.g., Modis, Inc. v. Bardelli,_531 F.Supp.2d 314, 320 (D.Conn.2008) (noting that “the costs of responding to the offense are recoverable” including “costs to investigate and take remedial steps” (internal quotation marks omitted)); SuccessFactors, Inc. v. Softscape, Inc., 544 F.Supp.2d 975, 980-81 (N.D.Cal.2008) (holding that the cost of investigating and identifying the CFAA offense, including “many hours of valuable time away from day-to-day responsibilities, causing losses well in excess of $5,000,” qualified as “cost[s] of responding to an offense” under § 1030(e)(11)). Accordingly, we remand for further consideration of this claim, expressing no opinion as to whether the evidence is otherwise sufficient to establish a viable CFAA claim or whether the alleged consequential damages were reasonable, sufficiently proven, or directly causally linked to A.V.’s alleged CFFA violation. codes that A.V. did not have authorization to use. The district court granted summary judgment to A.V. on iParadigms’ VCCA claim, as it had on the CFAA claim, based on its conclusion that iParadigms failed to present evidence of actual or economic damages caused by A.V.’s submission of papers as a UCSD student. 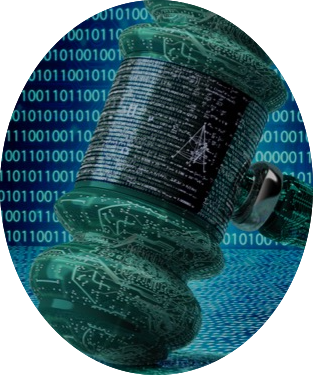 iParadigms contends that because the district court rejected the CFAA and the VCCA counterclaims for the same reasons, the district court was necessarily construing the phrase “any damages” under the VCCA to exclude consequential damages. iParadigms suggests that there is no indication in the statute that the Virginia General Assembly intended to so limit the meaning of “any damages.” Finding nothing in the statute to suggest that consequential damages are not available under section 18.2-152.12, we agree that it was error to dismiss the VCCA claim solely on this basis. Moreover, we decline A.V.’s invitation to affirm on other grounds, such as the lack of evidence to establish a causal link between the submission of A.V.’s paper and any damages, consequential or otherwise. We conclude that the evidence of consequential damages presented by iParadigms came within the “any damages” language of the VCCA, and therefore that the district court erroneously granted summary judgment because there was no evidence of “actual or economic damages.” We express no opinion, however, as to whether iParadigms is a “person whose property or person is injured by reason of a violation of [the VCCA],” Va.Code Ann. § 18.2-152.12, or whether this claim is otherwise viable. IV. For the foregoing reasons, we affirm the order of the district court granting summary judgment to iParadigms as to plaintiffs’ copyright infringement claim. As to iParadigms’ counterclaims, however, we reverse the grant of summary judgment to plaintiffs and remand for further consideration. The comparison occurs as follows: “[T]he Turnitin system makes a `fingerprint’ of the work by applying mathematical algorithms to its content. This fingerprint is merely a digital code. Using the digital fingerprint made of the student’s work, the Turnitin system compares the student’s work electronically to content available on the Internet … and student papers previously submitted to Turnitin.” S.J.A. 2. At the time plaintiffs filed this action, there were approximately 7,000 institutional Turnitin subscribers that, in turn, resulted in the submission of about 125,000 papers each day. Shortly before plaintiffs submitted their assignments to Turnitin, plaintiffs’ counsel applied for and was granted a copyright registration for each paper at issue. Plaintiffs also alleged that the Turnitin system offends copyright law because it “may send a full and complete copy of a student’s unpublished manuscript to an iParadigms client anywhere in the world upon request of the client, and without the student’s permission.” J.A. 22. Plaintiffs, however, have not produced any evidence to demonstrate that this occurred with respect to the plaintiffs’ works at issue here. Accordingly, we confine our review of the copyright issues to iParadigms’ practice of archiving documents. Plaintiffs note emphatically that the fourth statutory fair use factor “specifically uses the word `potential’ … and nowhere uses the word `damage.’” Brief of Appellants at 29. This point of emphasis is somewhat ironic in that the district court did not use the word “damage” either, but did discuss potential market effect. Web sites such as www.ibuytermpapers.com, for example, offer completed papers and essays purchased from high school students. In light of our “fair use” analysis, we decline to address the question of whether the terms of the Clickwrap Agreement created an enforceable contract between plaintiffs and iParadigms. See, e.g., Charlotte Decker, Note, Cyber Crime 2.0: An Argument to Update the United States Criminal Code to Reflect the Changing Nature of Cyber Crime, 81 S. Cal. L.Rev. 959, 980-81 (2008) (“The CFAA, § 1030(a)(5), is the primary tool used to investigate and prosecute hacking crimes.”). The CFAA was amended after the district court issued its decision in this case. See Pub.L. 110-326, § 204(a). These amendments largely reorganized § 1030, but left subsection (g) essentially intact and do not bear upon the limited issue before the panel — whether the district court correctly interpreted “economic damages” as that terms is used in § 1030(g). We take no position, of course, as to what effect, if any, the amendments otherwise have on the legal sufficiency of iParadigms’ CFAA counterclaim.